List of some South Indian Restaurant in Gachibowli. 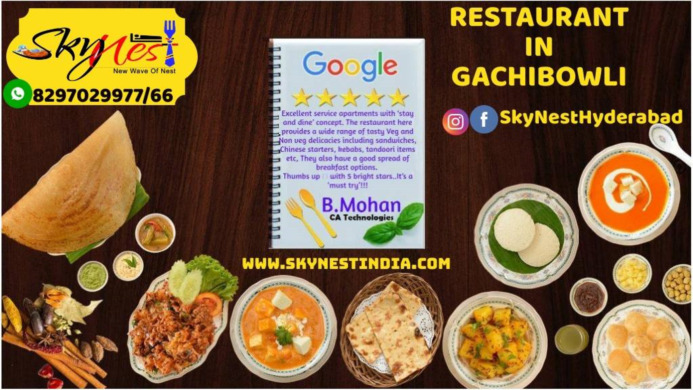 SkyNest restaurant it available south Indian food available with hygienic recipes, multi-cuisines it provide. It is a family Restaurant. Amazing Desserts & starters. For more details, visit our site.